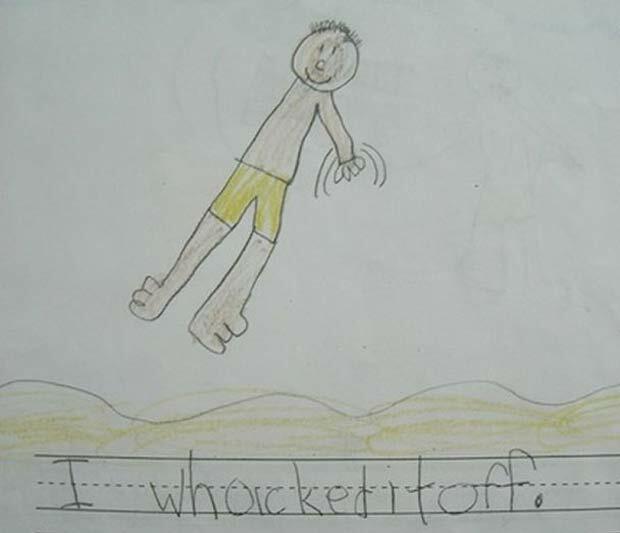 So, we’re not exactly sure what’s happening in this kid’s drawing, but it turned out hilarious. Perhaps by “whacked it off,” he means flies? He sort of looks like he’s levitating in the air like a fly so he could swat them all away. This one remains a mystery.